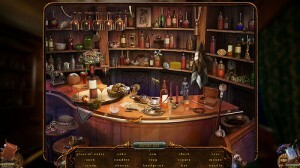 Hidden object adventures are brought to a new platform. Sanuk Games was seeking to break new ground by bringing a genre traditionally limited to pc and mobile onto a new platform, and I applaud them for that. 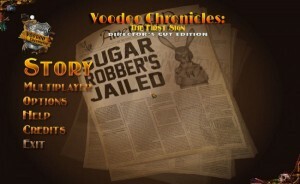 However, at the time it was released, Voodoo Chronicles: The First Sign is simply an unfinished game that was released too soon. What was a passable hidden object adventure is sadly reduced by bugs to something you simply will not enjoy playing. Hidden object adventure fans who are interested in trying their favorite genre in a new way are advised to wait until such a time that a patch has been released before investing their hard earned money. 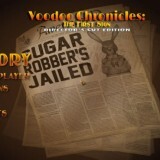 Sanuk Games brings hidden object adventuring to consoles with their newest release, Voodoo Chronicles: The First Sign. 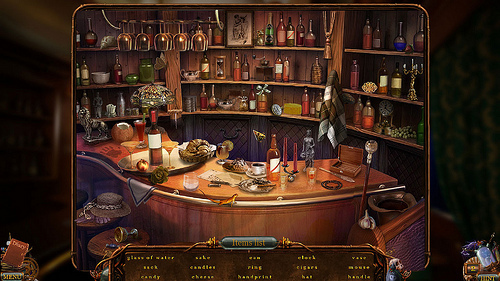 Presented in a traditional style, this is a game that blends hidden object finds with a basic story line and a little point and click action. But how well does this sort of play work with a controller? And how does the game itself stack up to the competition, regardless of platform? These were my first two thoughts when I picked up the game, and sadly I ended up disappointed. The controls, my first thought, are actually not terrible in this format. 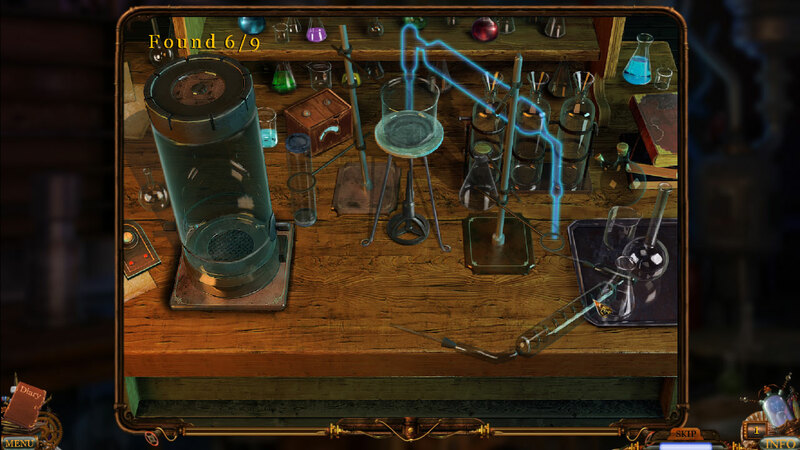 If you’ve played hidden object adventures before, you’ll know that they consist of finding a list of objects hidden in a jumble on a single screen. On touch screens, you simply tap the objects as you see them. On pc, you drag the cursor to each object and click. Voodoo Chronicles, rather than coming up with entirely different concept for the PS3 controller uses the pc controls. There is an arrow on screen, and you use the left stick to move it around and the “x” button to click. It actually works fairly well once you get used to it. Voodoo Chronicles is also Playstation Move enabled, adding another option for play if you don’t care for the standard controller setup. The story is a pretty standard type for this genre, blending mystery and black magic (the aforementioned voodoo) in an unlikely tale meant to advance the game and keep you invested. 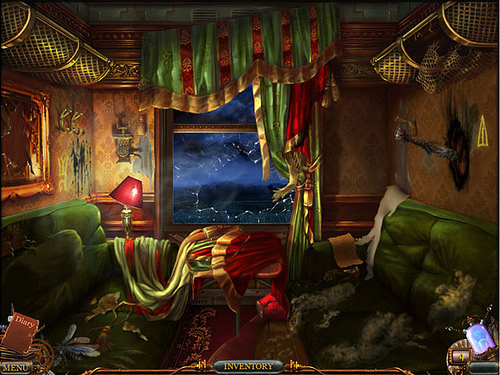 To be honest, most hidden object adventures have a throw away story, so I didn’t expect a lot from this one. You play as a detective who was hired, via letter, to investigate the brutal murder of mysterious millionaire. As you advance in the story, what started out as a simple murder investigation turns into a dive into the world of voodoo – mysterious little creatures, voodoo dolls, and all. Turns out the wealthy Mr. Coins had been cursed. The biggest thing that bothered me about the story is that there are inconsistencies that – for instance, what detective would steal money from a crime scene to pay off criminals? For the most part, though, it is a take or leave it type of story that doesn’t do a lot to impress but certainly doesn’t completely disgust you either. What will disgust you, however, are the rampant bugs. While we are told that a patch is being worked on (pending approval from Sony), but as of right now there are some real issues that make the game near unplayable, depending upon your style of play. If you are the type of gamer who will sit down and play the game from start to finish in one sitting, then your biggest annoyance will be a bug that pops up several times in various hidden object jumbles. Simply put, the game will not recognize your clicks. You will be scrolling around the scene, clicking on objects that you swear are correct, but all you’ll hear is a click. If you exit out of the scene and go back in, this is usually resolved, but you may not realize at first what is going on, and you’ll waste time and get frustrated. Why wouldn’t you realize the game isn’t working if you click on the book and it doesn’t register? Because in many of the jumbles, there are multiples of the object you are searching for. The list will simply say “book”, with no other clues, even though there may be four different books in the scene. It is maddening, because the only was to figure out which is correct is to click all of them, which feels a lot more like button mashing than actual skill. If you, like me, tend to digest your games in small pieces, then you may very well completely abandon Voodoo Chronicles: The First Sign due to the save bugs. In certain points of the game, if you either use a hint, skip a puzzle, or exit the game – your save file will be corrupted. In most places, this will lose you smaller portions of the game, less than an hour, but still annoying. Toward the end though, it will actually erase your entire save file, placing you right back at the beginning of the game. Add this to various annoyances in the game, and it just isn’t worth your money at this time.